Stylemint is a T-shirt club withÂ designs by fashionistas, Mary-Kate and Ashley Olsen. This site is dedicated to providing everyday styles designed by Mary-Kate and Ashley’s own fashion sense. As a member you get access to all their designs, and get new styles to choose from every month. Stylemint lets you choose your personal style by completing a short fashion quiz. This is done to fully equip your showroom with Tees you will love. It’s free to sign up and browse their collection, or $29.99 per item each month. You also have the option to skip a month. Though it might seem kind of pricey for a T, there are many department stores who charge the same if not more for Tees. A perk of Stylemint is you get to browse a great selection right at home, and don’t need to worry about finding your right size,Â time spent,Â or paying for gas to get to the mall! I received the Abbey T packed in a very chic and eco-friendly package. I loved the simplicity of their brown paper packaging and tiedÂ twine bow. I opted for the Abbey T because it’s a super versatile and cute design. Black matches with anything, and the one-shoulder style allows me to dress it up with a skirt and heels; or keep it casual with skinny jeans and tennis shoes. Check out a couple outfits below. How would you wear the Abbey T?! I’m very satisfied with my Abbey T and think Stylemint is a pretty good site if you have a casual style and love online shopping. 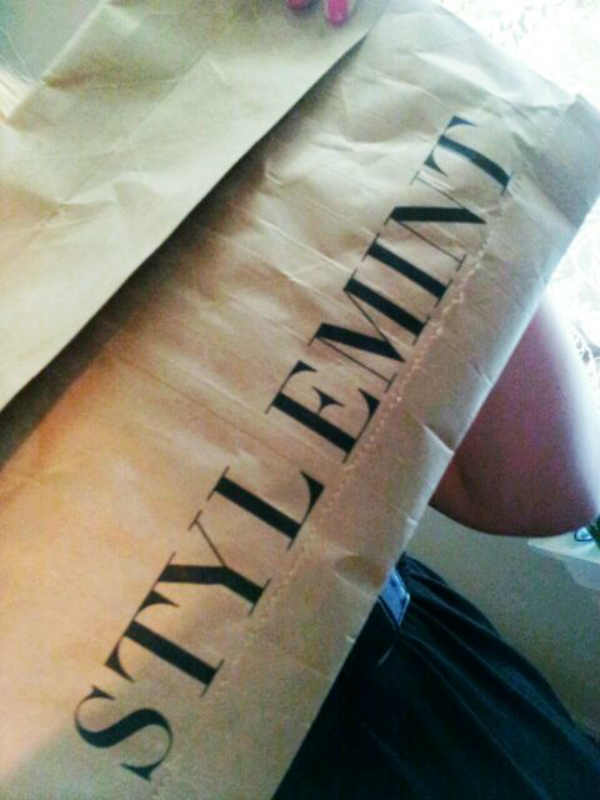 You can visit their site (www.stylemint.com) and browse their fashion line without needing to register or sign in. Another thing i liked, was that my showroom was full with cute Tees and gave me the option to further browse past what was chosen for me. No need to wait for a stylist to review my showroom and make changes, new designs were available by a simple click of the mouse. I actually checked them out butÂ didn’tÂ feel comfortable having clothes sent to me in this way. I’m so picky in what I wear. I like the shirts here though.